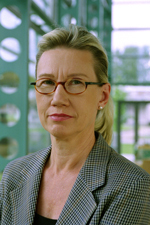 Professor Marja Makarow, Chief Executive, European Science Foundation. The developed world is full of modern technology that we take for granted. Mobile phones, internet, credit cards and CD and DVD discs are only a few examples of innovations that have revolutionized everyday life in the past thirty years. Common to all these is that their functioning depends heavily on mathematics. Another thing to note is that in all these cases, the mathematics was not invented for the sake of the technological innovations - it had already been developed as pure mathematics and lay ready to be applied when the time was ripe. In Internet and mobile phone telecommunication the message is encoded and passed from one computer to another or from one phone to another. Errors always occur and may lead to the message becoming completely obscured. Error detection and self-correction is therefore essential in all telecommunication. Modern automatic error correction is based on deep mathematics such as Galois theory developed in the early 19th century by Evariste Galois. Telecommunication, as we know it, would not be possible without Galois theory. Error correction is equally important for the proper functioning of CDs and DVDs. 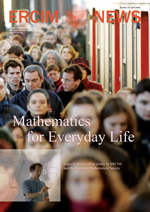 Mathematics saturates everyday life more and more. It is used not only in large applications running on huge computers to predict weather or to calculate parameters for an expensive industrial process or marketing strategy: it has now become ubiquitous in the more mundane aspects of our existence. A good example is the mobile phone. Mobile phone technology depends heavily on such fundamental areas of mathematics as analysis, algebra, and number theory.